Blend OREO Cookies and ice cream together to make a delicious OREO Milkshake! 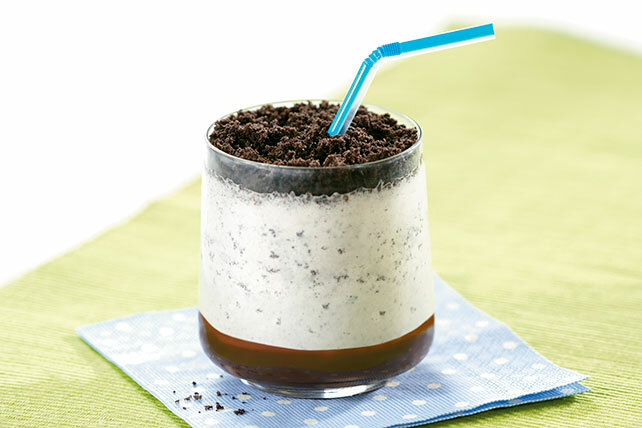 Milk and chocolate syrup help our OREO Milkshake be extra creamy and tasty. BREYERS is a registered trademark of the Unilever Group of Companies. ©Unilever. You'll know it's a special occasion when you get to enjoy a serving of this frosty milk shake. Prepare using frozen vanilla yogurt. Measure ice cream; let stand at room temperature 10 to 15 min. or until slightly softened.